AES Environmental is an Australian-owned company that has been developing & manufacturing products locally for over 50 years. We continue to develop our product mix, through engineering and clever use of materials to create custom made products. 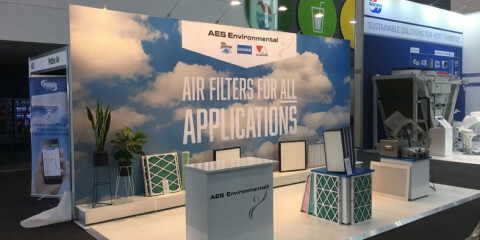 AES Environmental is ready to fulfil your air filtration and pollution control needs from a single, integrated source. Our brands and products are market-leading names within their fields. Whatever business area you operate in, effective air filtration and pollution control is vital for your products, processes and people. However large or small the need, with expertise in just about every area of industrial and process filtration and separation, we're ready to help... to deliver the products and 'hands-on' support to help you build a better future. Our manufacturing capabilities in both its main headquarters and in local branches across Australia. The advantage of this local manufacture is fast lead times and flexibility to make non-standard products as required. All design, engineering & manufacturing functions of AES Environmental operate to a standard set of operating procedures and quality-assurance policy that is centrally managed and regularly audited. Our national service and installation facilities provides I.A.Q measuring, maintenance of low, medium and high efficiency air filtration products, installation of new or replacement air filtration systems, plus much more. 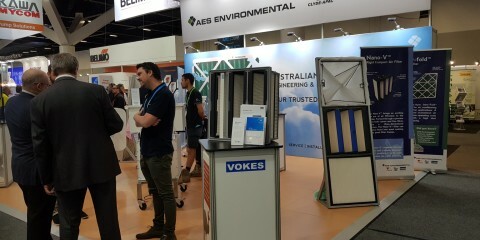 Laminar Air Flow Pty Ltd v Registrar of Trade Marks FCA1447 and others SPX Vokes UK Ltd. On 6 December 2017 the Federal Court of Australia ordered that SPX Vokes UK Ltd pay Laminar costs and amend the registry in favour of Laminar in respect to ownership of the Vokes T ..
AES Environmental at ARBS 2018 AES Environmental exhibited at ARBS 2018 at the newly renovated ICC Sydney in Darling Harbour between 8th-10th May. Brand new Re-loadable V-Cell is changing the air filtration indu .. 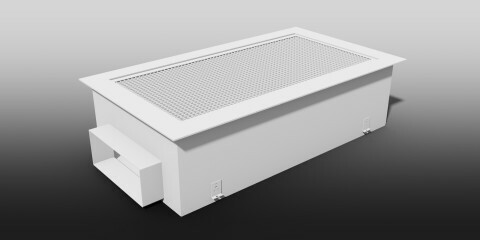 The new metal-free HEPA module AES Environmental continues to develop its product mix, through engineering and clever use of plastics, AES can now offer a ceiling mounted HEPA module that is entirely free from m .. ARBS 2018 AES Environmental will exhibit at ARBS 2018 – the official AIRAH Air Conditioning, Refrigeration and Building Services Exhibition. Come along and check out our products while winn ..
Air Filter Manual The Email Air Handling filter manual is a complete guide to air filtration. The manual contains useful information to help you understand the role of air filters, the importance of performance testing, and how to select the right filter for your application.